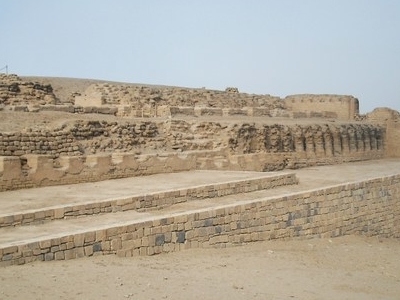 The temple of Pachacamac is an archaeological site 40 km southeast of Lima, Peru in the Valley of the Lurín River. Most of the common buildings and temples were built c. 800-1450 CE, shortly before the arrival and conquest by the Inca Empire.To date, several pyramids have been uncovered; archaeologists have identified at least 17 pyramids (many of them irreversibly damaged by the El Niño weather phenomenon). Besides pyramids, the site had a cemetery and multicolored fresco of fish from the Early Intermediate period (c. 200-600 CE). Later, the Huari (c. 600-800 CE) constructed the city, probably using it as an administrative center. A number of Huari-influenced designs appear on the structures and on the ceramics and textiles found in the cemeteries of this period. 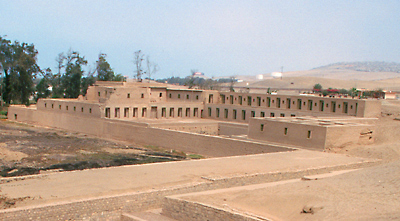 After the collapse of the Huari empire, Pachacamac continued to grow as a religious center. The majority of the common architecture and temples were built during this stage (c. 800-1450 CE). By the time the Tawantinsuyu (Inca Confederacy) invaded the area, the valleys of the Rímac and Lurín had a small state which the people called Ichma., They used Pachacamac primarily as a religious site for the veneration of the Pacha Kamaq, the creator god. 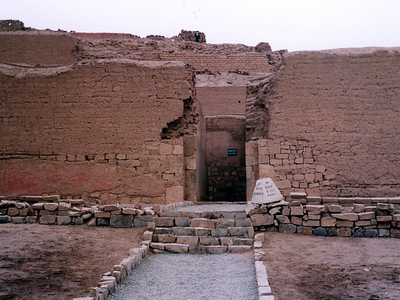 The Ichma joined the Incan Empire, which used Pachacamac as an important administrative center. The Inca maintained it as a religious shrine and allowed the Pachacamac priests to continue functioning independently of the Inca priesthood. This included the oracle, whom the Inca presumably consulted. The Inca built five additional buildings, including a temple to the sun on the main square. Here's the our members favorite photos of "Ruins in Lima". Upload your photo of Pachacamac! So far only Arcturus wants to visit Pachacamac. Do you want to visit Pachacamac Click here?